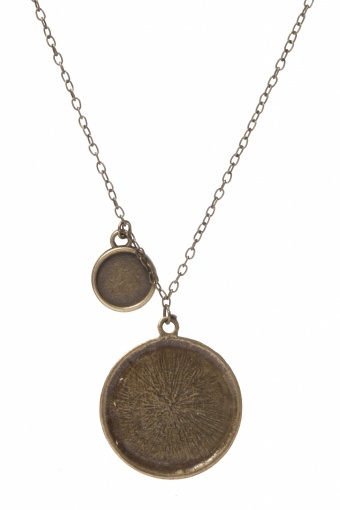 TopVintage exclusive! 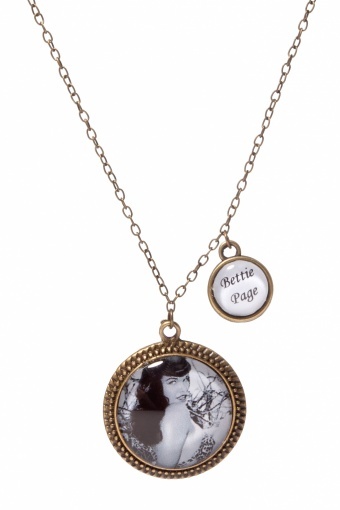 Handmade vintage inspired Bettie Page double pendant necklace from Coucou Heart. 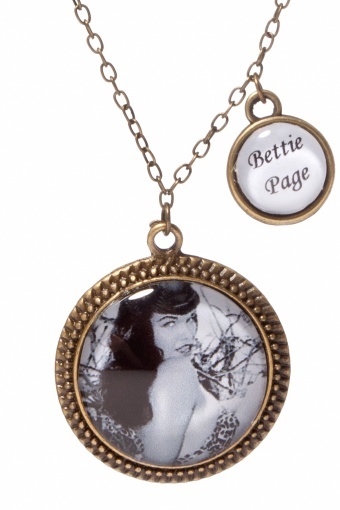 Beautiful pendant with one of the most famous pin up models Bettie Page from the worldfamous Jungle photoseries from female photographer Bunny Yeager. 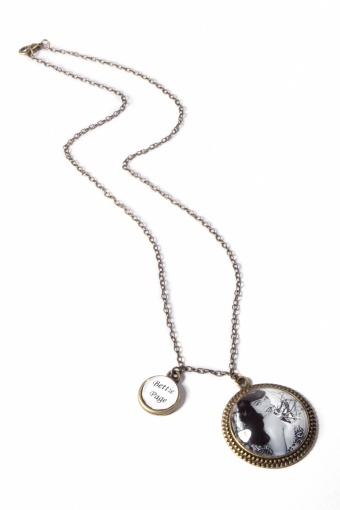 The picture has been set behind a domed glass cabochon accompanied by a small drop pendant, in an antique tone pendant setting. Also available as a Brooch. Glamour photographer Bunny Yaeger is one of the people who helped make Bettie Page famous. She met Bettie in 1954. Bunny photographed Betty's 'jungle girl' pictures, many of the best poses of her taken on the beaches of Florida. Bettie Page is wearing a jungle suit which she sewed herself. She made all of her own bathing suits and bikini's for her modeling shots. "I never keep up with fashions. I believe in wearing what I thought I looked good on me."